This is an excellent Spock's Beard album that shows a deepening level of maturity, both in songwriting and performance. There are a few uninteresting or goofy places from time to time, but these are offset by a variety of exceptional work with soulful singing and powerful instrumental segments. The three longest tracks are the highlights. "The Good don't Last" After some long organ chords, the main riff kicks in. Following the introductory music, an acoustic guitar suddenly breaks in with the vocals (in the same manner as "Go the Way the Go"), and the piano after the first verse repeats the introduction. The chorus is awfully catchy. The track flows pleasingly, with excellent vocal melodies over likewise excellent riffs. After a screaming guitar solo, an orchestral segment abruptly finishes out the piece. Lyrically, the song bemoans the popularity of "crap," a common lament of progressive rock lovers. "In the Mouth Of Madness" Video game noises and organ kick off this strange track. But not only does this odd song feature some killer synthesizer and guitar (which will admittedly annoy me sometimes), it has a solid composition that works well for a shorter progressive rock song. The softer choruses are a brilliant contrast, also. "Cakewalk On Easy Street" The opening piano riff and accompanying guitar are quirky to be sure, but that doesn't ruin an otherwise decent track. 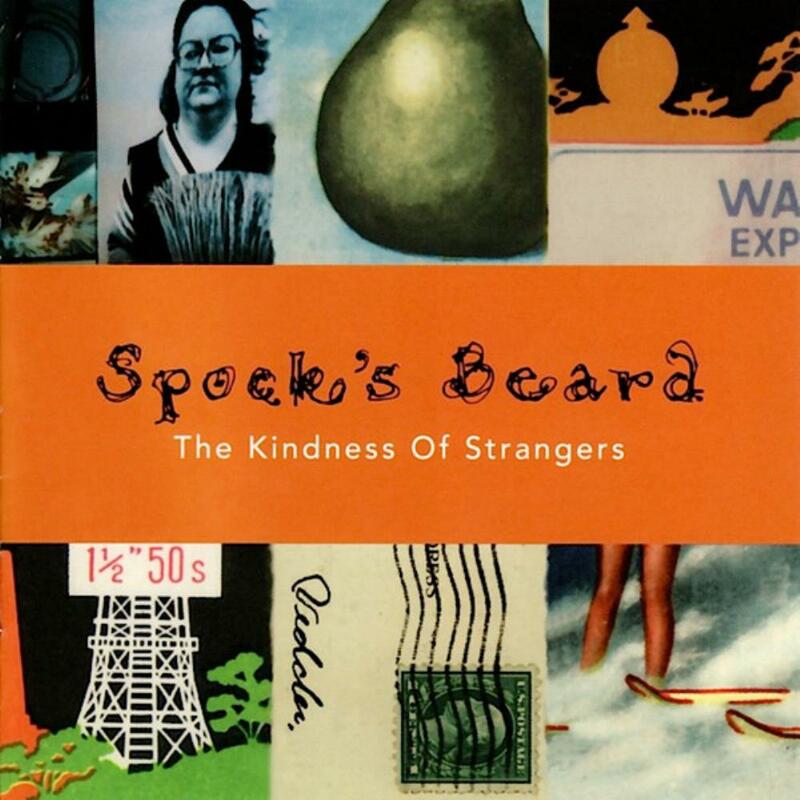 It's not the best Spock's Beard track at all, but it's okay- gentle in some places, eccentric in others. "June" One of the best acoustic tracks from the band, there's some great vocal harmonies here, with lovely organ hanging around in the background. "Strange World" A heavy yet somewhat corny riff cuts off to bring in piano and singing. I really like this song, though I don't see it as Spock's Beard's best. The vocal melodies are the most appealing part of the track, as the instrumentation tends toward needlessly noisy. "Harm's Way" A heavy riff jumps in, with sinister organ in the backdrop and thundering drums over it all. The band hops in and out, with quick piano runs bridging their appearances. Gorgeous Mellotron supports the vocals. This, however, is a real treat. "Flow" The third truly exceptional song has a heavy riff that jumps around the speakers, but is solidly put together, especially with the other instruments and the way it moves through each subsequent part. Gorgeous piano and organ follow, with a great melody and guitar-led theme. I absolutely love the vocal melody and the passion with which it is carried. Overall, the music has just the right measure of quirkiness blended with a generous portion of majesty. It is one of Spock's Beard's grandest pieces.